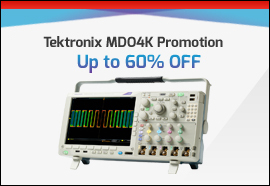 SAVE UP TO 60% on a fully refurbished, reconditioned, industry leading Tektronix MDO4K Series Mixed Domain Oscilloscope and Upgrades/Application Modules!. 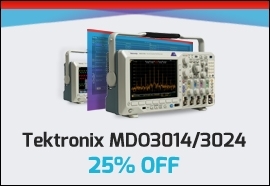 Purchase a Tektronix MDO3014 / MDO3024 Mixed Domain Oscilloscope and get 25% OFF + 25% OFF any combination of qualifying modules / options. 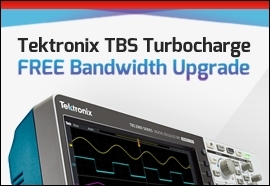 For a limited time, purchase a qualifying Tektronix TBS1000 / TBS1000B-EDU or TBS2000 and receive an upgrade to the next level bandwidth for FREE! 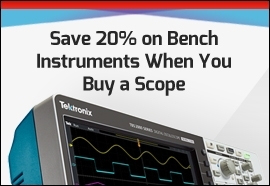 Get 20% OFF Selected Bench Instruments When You Buy Any Scope! 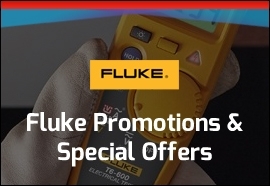 See a range of Fluke promotions and special offers. 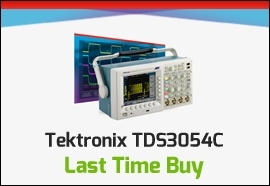 The Tektronix TDS3000C Oscilloscope series will soon become unavailable in the UK. 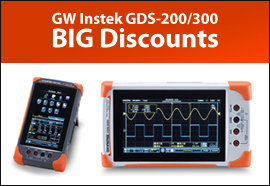 However, we have a limited number of the TDS3054C model scopes in stock. 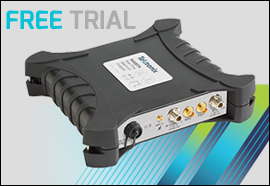 Try Tektronix' Revolutionary RSA500 Series Real-time Portable Spectrum Analyze for FREE for 7 days. 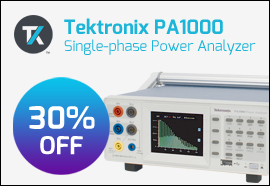 Tektronix PA1000 Power Analyzer - Now at 30% OFF! 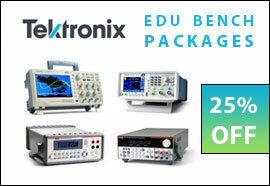 Purchase an Education Bench Package and receive 25% off the instruments tailored for education. 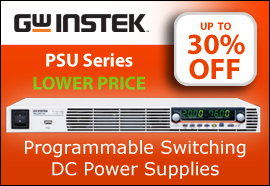 The GBM-3300 provides excellent features for various types of batteries in measuring open circuit voltage and resistance. The GBM-3080 provides excellent features for various types of batteries in measuring open circuit voltage and resistance. 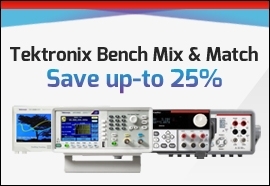 Let us keep you up-to-date with the latest news and innovations in the power, test and measurement world. © 2018 SJ Electronics. All Rights Reserved.